Touchstones on experience. Writing, reading, speaking and sharing in creative arts projects can open up so many horizons. Find your own voice and take pleasure/satisfaction from airing that voice. It's what I'm about. Literacy skills are central; enhanced self-esteem is crucial. Let your imagination fly, as Robert Frost said, Poetry begins in delight and ends in wisdom. Isn't that true of all writing and creative exploration? I work with all key stages and adults. I prefer to run workshops with active participation from participants of any age. Poetry? Short story writing? Shakespeare workshops? Scripting? Using the Spoken Word to enhance self-esteem? Contact me and we'll tailor something which is absolutely right for your group. I have been Head of English in two secondary schools and Assistant Headteacher in another. During my educational career, I organised creative writing residentials as well as Arvon Foundation course visits for students. And since leaving teaching I have formed and led adult poetry groups and played a major role in the organisation and running of a highly successful spoken word event. It was fantastic. John showed us how to describe things in different ways - that was really good. We had a laugh. ...a wonderful evening...inspiring and entertaining. Emma Clark, Marketing and Press Officer, Georgian Theatre Royal, Richmond. 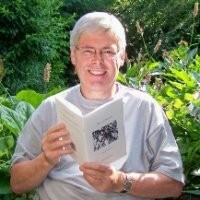 John has a rich repertoire of skills to unlock creative writing potential in children, young people and adults. The children really enjoyed this afternoon...they love it that they have a poem to take away. Please come back to our school. I am based in West Yorkshire but I am willing to travel. My rates are based on Society of Authors recommendations, but contact me with your idea/visiting writer needs and hopefully we'll work out an appropriate plan. Novel. Samantha Jones and the new kid in Year 11, Ricky Bell, were going to raise some hell. So why did they fall in love? ARTS CREATIVE ENRICHMENT EXPLORING EXPRESSION FINDING A VOICE FUN STORIES AND POEMS TALKING WORKHOPS.